I've started to shoot a bit of F class just for fun and am looking to get a bit more accuracy out of my rifle, I had it threaded nearly 10years ago through a gun shop. 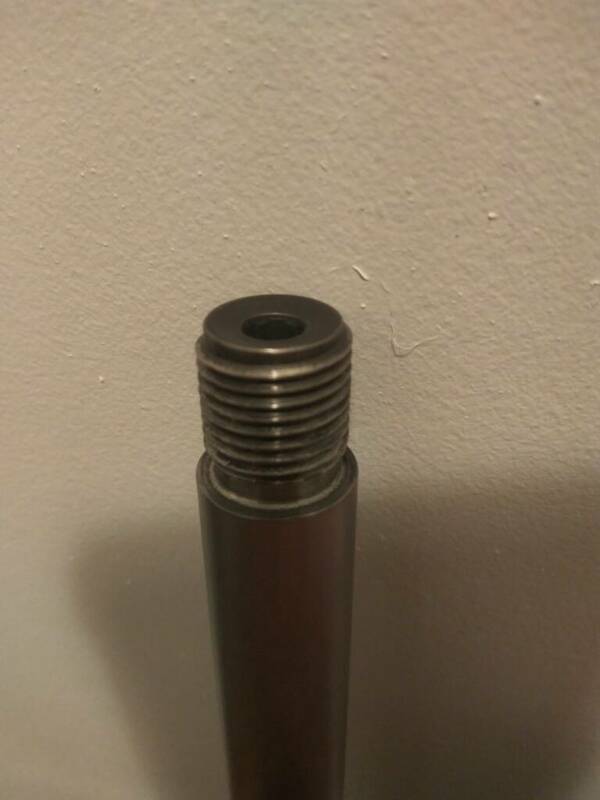 It had 2in cut off so should have been clean rifling, It looks like there was a small counter bore machined into it. Is this commonly done? Any idea if it will have much of an effect and is worth getting redone? Do you mean counterbored across the whole muzzle, or just inside the start of the bore itself? Stick some cotton wool into the muzzle and drip copper cleaner into it. Leave overnight. Then decide what you think of the crown. Counter bored inside the bore itself, almost like its been hit with a counter sink but way more angle than most. I've had a rifle with a crown cut like that and I should mention that it is to this day the most accurate rifle I've ever owned. If the rifles shoots good, keep it, otherwise have someone crown it again. Micky Duck, Cordite, xtightg and 1 others like this. Just looked at mine, all have been done that way all shoot well, the 223 tightened up to 1/4 moa after recrowning and is still eye wateringly accurate nearly 1000 rounds later. How does it shoot now? No point re-doing it, if shoots well as is. Shoot it, and dont touch it unless it dont work! Just trying to squeeze any easy bit of accuracy/consistency I can get out of it. I think its fine based on those figures. Looks weird but it sounds like it works. Lots of weird crowns out there. As everyone has said, if everything is crisp and even it should not matter too much, unless it does, if that makes sense. As you have no obvious problem, why worry. Eliminate everything else first. A re-crown is cheap but you have limited meat left due to the thread, so it would have to come off. Leave well and good alone , if it deteriorates then look at doing something with it. Sounds as if it shoots primo as it is. Time for a re crown?